We both look away as the sky hits the ground. IMP Your song 'Timebomb Syndrome' has just been added to Mighty Jerkules Approved station! IMP Your song 'Timebomb Syndrome' has just been added to Desperado Revue 2019 GK Contenders station! IMP Your song 'Rapture ' has just been added to Desperado Revue 2019 GK Contenders station! IMP Your song 'Timebomb Syndrome' has just been added to Americana Desperado station! IMP Your song 'Rapture ' has just been added to Desperado Revue Vol. 2 station! IMP Your song 'Rapture ' has just been added to Alternative Desperado station! IMP Your song 'Marshmallow' has just been added to W.I.M.P station! IMP Your song 'Marshmallow' has just been added to Desperado Revue 2019 GK Contenders station! IMP Your song 'Marshmallow' has just been added to Alternative Desperado station! IMP Your song 'Timebomb Syndrome' has just been added to Featured Songs station! IMP Your song 'Marshmallow' has just been added to The Deefons and extended family. station! IMP Your song 'Timebomb Syndrome' has just been added to The Deefons and extended family. station! IMP Your song 'Rapture ' has just been added to The Deefons and extended family. station! IMP Your song 'The Diabolical Machine' has just been added to Desperado Revue 2019 GK Contenders station! IMP Your song 'Revelation' has just been added to Desperado Revue 2019 GK Contenders station! IMP Your song 'The Diabolical Machine' has just been added to Alternative Desperado station! IMP Your song 'Revelation' has just been added to Rock On Desperado station! IMP Your song 'Revelation' has just been added to The Deefons and extended family. station! IMP Your song 'Back to the Hollows' has just been added to The Deefons and extended family. station! IMP Your song 'Back to the Hollows' has just been added to Alternative Desperado station! IMP Your song 'Back to the Hollows' has just been added to Desperado Revue 2019 GK Contenders station! IMP Your song 'Back to the Hollows' has just been added to Hotter station! IMP Your song 'The Wandering Away' has just been added to Alternative Desperado station! IMP Your song 'The Wandering Away' has just been added to Desperado Revue 2019 GK Contenders station! IMP Your song 'The Wandering Away' has just been added to The Deefons and extended family. station! IMP Congratulations! Your song 'Timebomb Syndrome' is now #25 on the Kayak Big 25! 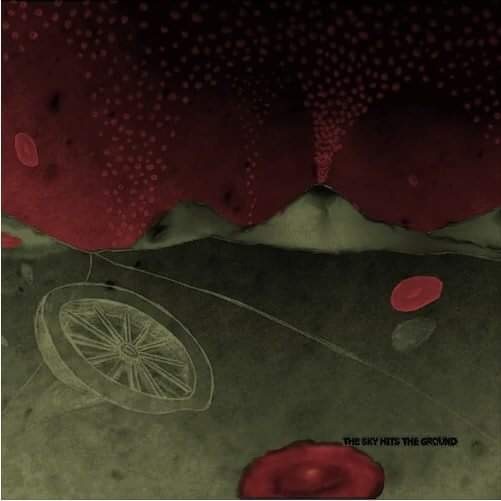 IMP Your song 'Blood (drop 2)' has just been added to Desperado Revue 2019 GK Contenders station! IMP Your song 'My Small World Shrinks' has just been added to Desperado Revue 2019 GK Contenders station! IMP Your song 'My Small World Shrinks' has just been added to Alternative Desperado station! IMP Your song 'Blood (drop 2)' has just been added to Alternative Desperado station! IMP Your song 'Blood (drop 2)' has just been added to The Deefons and extended family. station! IMP Your song 'My Small World Shrinks' has just been added to The Deefons and extended family. station!